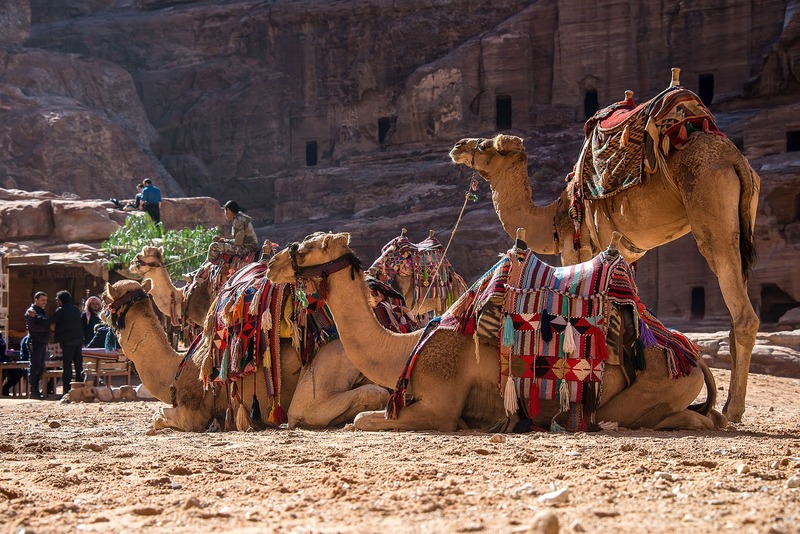 Jordan is often times a highly misunderstood travel destination. The land of epic adventures, such as Lawrence of Arabia, and lost cities, it is a magical place that should definitely be way more popular than it currently is. Hospitable as well as safe, its Middle East location is largely why it suffers so much guilt by association. With only a ten million population density, most people are of the school of thought that it’s a travel destination that doesn’t have that much to offer. If this is you and how you think then you’re terribly mistaken. Stick with us and see why you should consider visiting Jordan. Whenever you tell people you’re considering a visit to that part of the world the next thing they’re always sure to ask is whether that’s a good idea. Everyday, people get warned over the Middle East dangers with little to no attention to those countries that are actually involved in all that strife and mess. The reality about Jordan is that it’s actually a stable and peaceful country. The problem is it happens to be situated in a very bad neighborhood. Jordan and the United States have had very good ties for many years now and whenever you get the chance to walk around this country that’s when you’ll you notice how good things are. So, if you aren’t visiting Jordan because of safety concerns, think again. This has become, without a doubt, one of Jordan’s most popular tourist attractions. A stay in Petra is like none other. It’s an archeological and historical city located in Jordan’s southern region. Also commonly referred to as the ‘Rose City’ because of its stone colorings, The main entrance to this historical city is a breathtaking sight, to say the least. Once inhabited by the ancient Nabatean tribe, this magnificent historical site is believed to have been in existence since the year 312 B.C. UNESCO has gone further and described it as being one of man’s cultural heritage’s most precious cultural property. Its natural beauty is a big factor as to why you should consider visiting this country. From the Red Sea to the Dead Sea and all the desert that comes in between, this country’s beauty comes in several different forms. A natural highlight that’s a must visit when in Jordan is the UNESCO protected Wadi Rum desert. It has unusual colors as well as unusual terrain. In fact, it happens to be so unusual many documentaries and films have used it as stand-in Mars and moon landscapes. If you want to experience the Wadi Rum desert in all its splendor then you should consider sleeping in one of the several tented campsites found in that location. We couldn’t leave without mentioning how out of this world their food is. Being that they’re a landlocked nation, one of the advantages of this is that they have cuisine that has been influenced from all over. It’s largely based on Middle Eastern and traditional Mediterranean cuisines. The food found here is not only plenty, but it’s extremely delicious as well. Definitely a major reason as to why you should check this wonderful country out. Now you know why you should visit Jordan for your next holiday. Hopefully, the reasons we’ve given herein are convincing enough. It’s a travel destination you won’t soon forget. At the very least, it’ll offer you more than what you think it can.